Marquee Hire, Leeds, West Yorkshire. We supply luxury marquee hire and event related services across both Yorkshire, Lancashire, Cheshire and across the country. We specialise in providing Marquee hire for Weddings, Private parties and Corporate events. We also provide event related services such as furniture and AV equipment. Welcome to Marquee Events, based in Leeds, West Yorkshire, we are a provider of a reliable and personal Marquee hire service in Yorkshire and event related services both locally and nationally across the UK. Over the past 10 years we have worked incredibly hard to deliver a truly memorable Marquee hire event, developing an extensive portfolio of clients, many of which return annually. We are proud to have acquired a fine reputation within the Marquee hire industry as perfectionists and hire specialists in the work that we do. It has undoubtably been an integral part of our ever growing success. 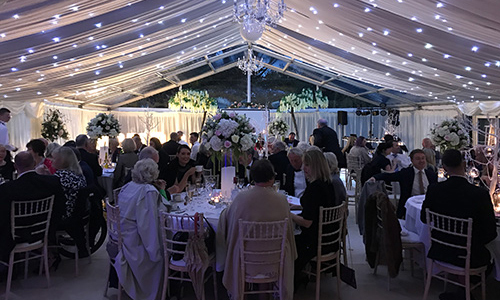 Marquee Events specialise in designing and delivering bespoke quality Marquee hire for weddings, Marquee corporate events and Marquee private party celebrations, providing an unrivalled level of customer service ensuring your special day or event is a success. We work with some of the UK’s finest Stately Homes, Castles and Country Houses, having gained a reputation for delivering a high quality and intuitive Marquee hire product. Need to hire a Marquee? Get in touch today! Luxury Marquee weddings created by our dedicated expert team. We strive to make every wedding a truly magical spectacle, our dedicated team have a vast amount of knowledge and experience to make your wedding day unique and memorable for all of the right reasons. We love a challenge, and we can transform some of the most difficult and unusual spaces and terrains into a luxurious venue for your dream day. We fully understand the importance of image and representation when fronting a business. That’s why we ensure we supply only the best equipment that is installed by our highly trained team to make sure we deliver for our customers 100% of time. We love to create unique events and our creative team will strive to set you apart from the rest, ensuring we fully tailor our products to work for your individual requirements. Marquee Party hire, creating birthdays, anniversaries, private events and baby showers that won’t be forgotten about. 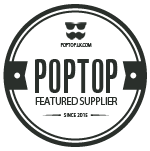 We have a passion for creating memorable events and our modern and well-maintained equipment means we are able to deliver high end, quality events that will have people talking. Speak to our dedicated creative hire team about how we can create a memorable event for you today.